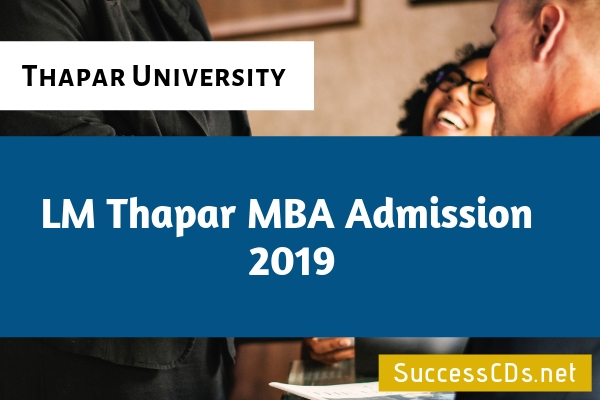 Thapar University LMT SOM MBA Admission 2019-21: LM Thapar School of Management has released a notification for admission to MBA Program in various disciplines for the academic year 2019-21. Below is the complete information on the MBA Program that is offered by the Thapar University’s School of Management Institute. What is the MBA Program Structure at Thapar School of Management, Thapar University? What is the Eligibility Criteria for MBA Admission at Thapar University (School of Management)? What is the Selection Process at LM Thapar School of Management 2019?